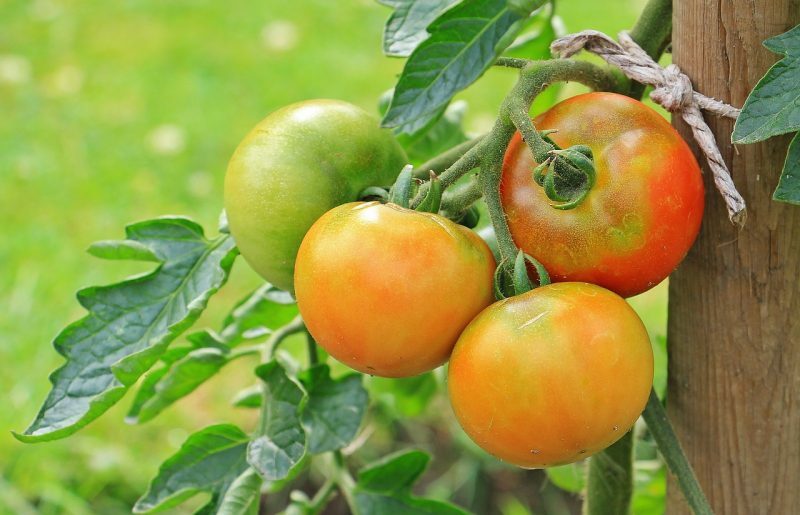 Growing Tomatoes 101 helps you have success raising tomatoes by helping you choose a variety that’s right for you, teaching how what fertilizers to use and how to use them, and how to deal with the most common tomato pest. Ask anyone who gardens what they grow, and tomatoes are always on the list. A homegrown tomato is sublime. The flavor of a homegrown tomato is impossible to get from a store bought tomato. That’s why people grow them wherever they can – in large gardens with multiple varieties or in a container on an apartment balcony. A fresh, sun-ripened tomato is a gift. Growing them is not difficult at all. I’m going to share with you a few simple steps to grow your own tomatoes. You don’t need an acreage or even a yard. A container in a sunny spot on a porch, deck, or any place you can find in the sun will do nicely. For the beginning grower of tomatoes, a couple of varieties are a good choice: Early Girl and Big Beef. Both varieties are common at garden centers that sell plants ready to put in your growing space. Early Girl produces a medium-sized fruit good for slicing and cooking. It’s a sweet, fast-growing tomato that is versatile and easy to manage. Big Beef is a beefsteak variety of tomato. 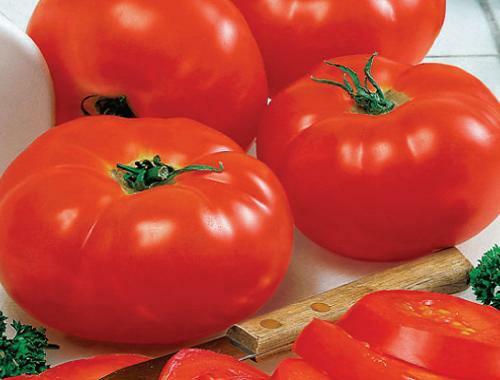 Beefsteaks are big, meaty tomatoes best for slicing, but can be used for cooking. They have a bold, robust tomato flavor. 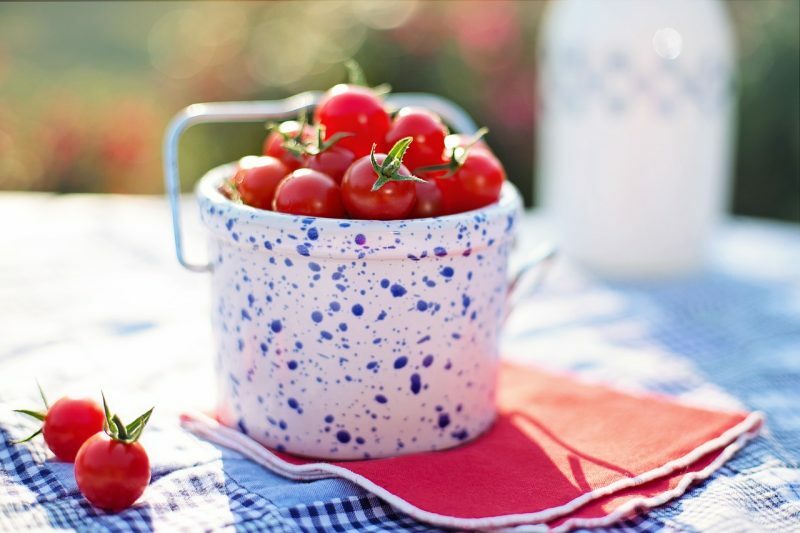 If you know you’re going to be growing tomatoes in a container and not canning them, try a cherry or grape variety. Cherry and grape tomatoes are bite-sized, super sweet, and the plants are very easy to manage as they don’t get weighed down with heavy fruit or take up a lot of room. If you’re growing tomatoes in a container, select as large a pot as you can find, and use a good quality potting soil like Miracle-Gro. A common disease that affects tomatoes is blossom end rot. It’s caused by calcium deficiency. You can prevent blossom end rot by adding the crushed shells of a couple of eggs to the soil around each plant. Blossom end rot can also be prevented with a convenient spray called Rot Stop, which available at most garden centers. Just follow the directions on the bottle. 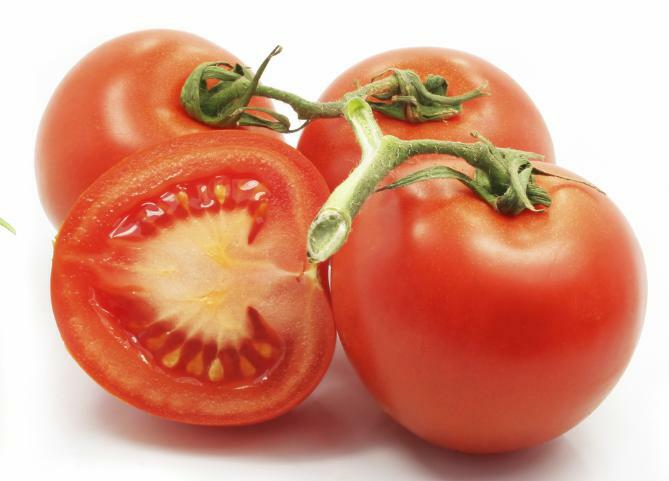 Tomatoes love magnesium and will produce more and larger fruit when they are fed Epsom salts. One tablespoon of Epsom salt to one gallon of water is all that is needed. Just water with this until the plant is good and wet. I also love Dr. Earth Home Grown Tomato Liquid Fertilizer. I use Dr. Earth Fertilizers with great results. The smell is strong, but a good rule of thumb for growing things is that the smellier something is, the better it is for your plants. 🙂 Toss in a tablespoon of Epsom salts with the Dr. Earth mixture and fertilize your tomato plants once a week. As the plants grow, they will need support to keep from falling over. I use metal fence posts and strips torn from old t-shirts to tie up my plants to keep them upright. I have a lot of plants and fence posts take up less space. Tomato cages are an easy way to support your plants and can be used year after year. Note in the picture below how the tomato plant is tied to a wooden post for support. I would notch the post to support the string that supports the plants, otherwise, everything will just slide down to the ground. You’ll know they’re around when you see your plant’s branches stripped of its leaves. When hornworms arrive in my tomato patch, I scour the plants to find them. When I find one, I break off the branch where it is feeding and toss both branch and worm to the chickens. I refuse to touch them, even with gloves. Chickens LOVE to eat hornworms. Just don’t look when you toss it to them. Take my word for it: Don’t. Look. If you don’t have chickens, a flamethrower will do the trick. I use rain barrels for watering my gardens and chickens. Click on this image to shop Plow & Hearth for this adorable rain barrel! Seriously though, hornworms will destroy your tomato plants fast, so be on the lookout for them. I would just drown the worms in a plastic bucket of water and toss them out far from my tomato patch in an open area where birds can find them. 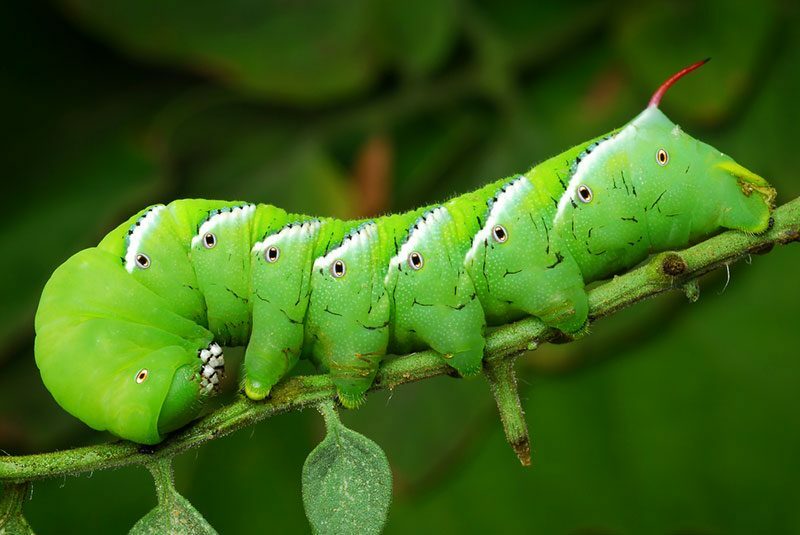 I prefer an organic approach to gardening, but if pests like hornworms are a threat to the survival of my plants, I’ll use Sevin dust or spray to protect the plants. Homyden.com has a great article on dealing with these horrible creatures. You’ll know your tomatoes are ready to enjoy when the fruit yields to pressure when pressed with your thumb. 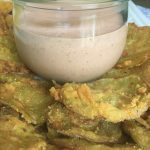 You can slice them to eat, preserve them, make juice, sauces, ketchup, and salads. A favorite summertime meal here in Iowa is BLT sandwiches with fresh, garden tomatoes, served with our famous sweet corn drenched in butter, and iced tea. It’s a little bit of heaven on earth. 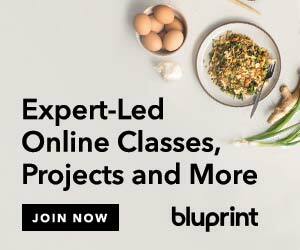 I’ll write future posts about how to use and preserve garden tomatoes as well as how to start tomatoes and peppers from seeds, how to save seeds, the difference between hybrids and heirloom varieties and why I like heirloom tomatoes. I hope you’ll try growing tomatoes. If you do, I’d love to hear how you did, and please ask questions in the comments. I’m here to help! What do you recommend for growing on an apartment balcony? We don’t get direct sunlight so I am not sure if that would effect the plant from growing or not. I would love to grow cherry tomatoes since that is what I consume most. Any insight would be helpful! The weather is beautiful here and I would love to start planting and growing more things on my balcony (as a new hobby AND because I love food fresh from the garden). Also, how much do I water the plants? I tend to overwater plants therefore my longest plant growing is a cactus since I know it barely needs watered…haha. I think cherry or grape tomatoes are a great choice for growing on a balcony. Lack of direct sunlight will slow the growth and ripening of tomatoes, but they will still grown and ripen. It’ll just take longer. Small plants fresh from the garden center need watered daily to help them establish their roots and adjust to being transplanted. Back off the daily watering when the plants are about 24″ high. I water my mature tomatoes in the garden twice a week, three or more times if the temps here get really hot. I like to water in the evening, especially during those brutal hot summer temps like we get in July and August because the water won’t evaporate as quickly in the cooler night temps and it preps the plants for another hot day. Lettuce and radishes would also grow really well on a balcony with indirect sunlight. Lettuce is kind of delicate and prefers indirect light. My favorite lettuce is Ruby Glow. Radishes are like lettuce, plus they are great for kids to grow because they mature quickly and you can get more than one crop in a season. Enjoy this article very much. My daughter loves tomatoes with cherry tomatoes being our favorite for her little fingers. Also your point eggs triggered my memory. My grandmother put shells in her flower pots! Thanks so much for your help! Now I feel confident in what to look for and get! Hornworms are EVIL!!!!!!!!!!!!!!! I throw them on the ground, cover them with a leaf or something and stomp on them maniacally. I don’t want that green goo on my shoe, ha ha! I love the tips and tricks you share, Kay! You are such a smart lady! Thanks for sharing at Homestyle Gathering!